Take Your Homeopathic Constitution Survey Now! Completing the Survey costs only $29.00 (USD) per survey. 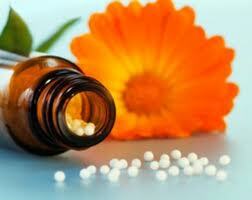 Homeopathy is a 200 year old medical system that is designed around the important concept of constitutional types. In homeopathic medicine and prescribing, a Classical Homeopath will rely on observing a person’s general biochemical type along with perceiving their personality type, their food likes and dislikes, their general temperament and responses to the environment including weather. These distinct traits will to help a Homeopath to determine what a person’s innate constitution is and prescribe a homeopathic remedy according, in order to bring them to a higher level of health and wellness. A person’s constitutional nature is something that they are born with. It does not change of time, although layers of disease or illness can be added, this is the original state of a person. For example, a fair haired, light skinned and tall person will remain this type throughout their lives, whether or not other illnesses or diseases are added to their life story. This is why it is often referred to as an “innate” constitutional type by Homeopaths.